Is it time for a super important Halloween mission? You know the one, the big trick-or-treating adventure around the neighborhood. It's a simple Halloween ritual to be sure, but your child has decided to lay the mission on the line this year. Because they're going to be repping the most famous dog rescue group in the world. The Paw Patrol! That's right, your girl has decided to join the team, and not just as any old pup. She's going to be Skye! Skye, of course, is the fearless Cockapoo who pilots the whole team into action. She's handy in her helicopter, or even when she has to swoop in on the wings in her pup pack. So, we think it's safe to say that your child made a fantastic costume selection! But, the ball's back in your court, because we've got something to complete the fun. 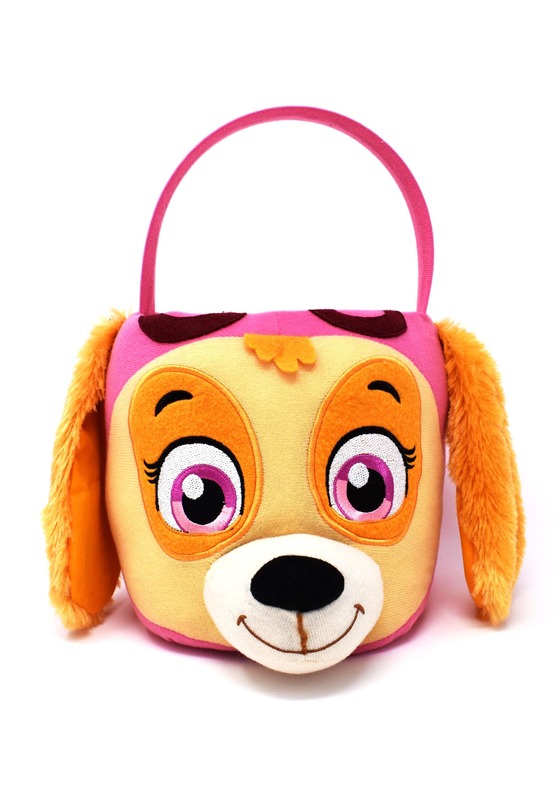 This Skye Plush Trick or Treat bucket! The perfect way to complete her Paw Patrol theme, this candy bucket is covered in fabric, and it's got the facial features of the Sky herself featured on the front. It's even got plush ears attached for the full Paw Patrol effect. Get her this treat bucket, and we're sure the Halloween mission will be a flying success!